Luke Doucet On Mountain Stage The Canadian songwriter made his first solo appearance on West Virginia's most famous stage back in 2007. Hear the three-song set right here. 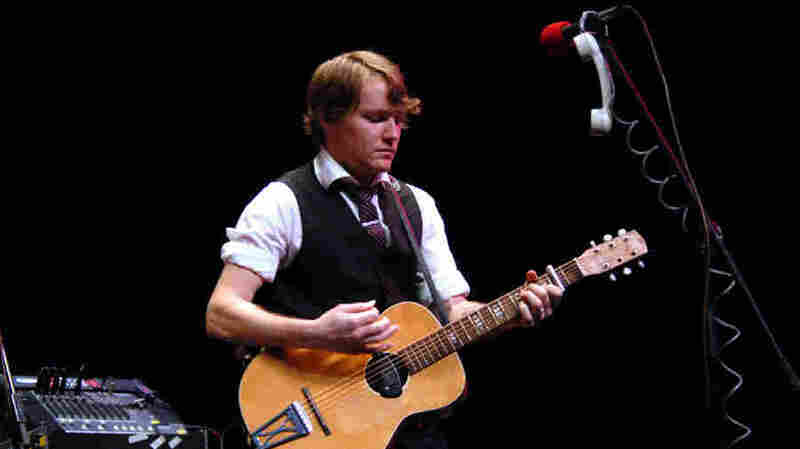 Luke Doucet performed on Mountain Stage back in 2007. "Keep Her Away From Me"
Contemporary singer-songwriter and guitarist Luke Doucet's encore Mountain Stage performance was recorded in 2007 during his first solo trip to West Virginia. Once called "the best young guitarist in the country" by the Toronto Star, Doucet actually appeared on Mountain Stage back in 1994 as a member of Sarah McLachlan's band. In the years since, Doucet has been an ubiquitous presence in the thriving Canadian indie scene for more than a decade, leading the spacey alternative surf rock band Veal, as well as playing with and producing some of Canada's most well known musicians. Doucet's three-song set was in support of his Americana-tinged break-up album, Broken (And Other Rouge States). In 2008, Doucet moved to Nashville for six months to record Blood's Too Rich, and released Steel City Trawler in summer 2010.